Looking for your very own retreat in the woods for you and your family? 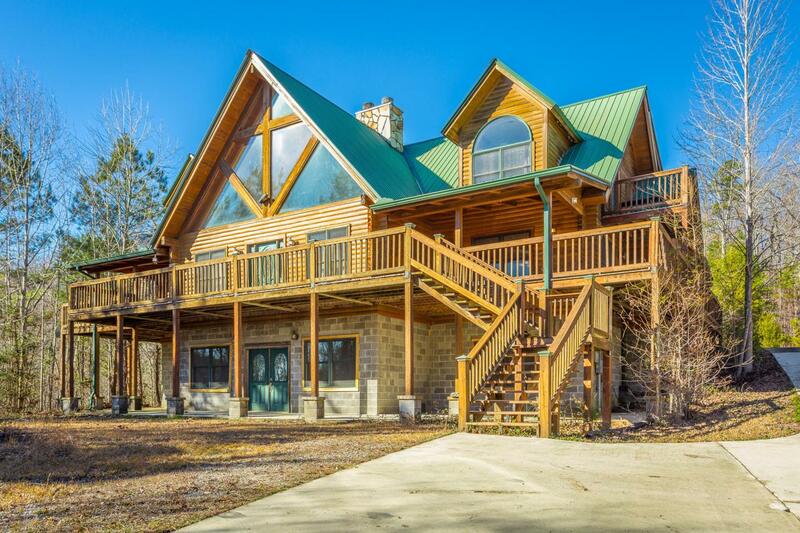 Don't miss this private, custom-built log home tucked away on a wooded 11 acre lot! With over 6,000 square feet, this spacious home has 7 bedrooms, 4 full baths, 2 half baths and plenty of room for everyone. Enjoy contemporary design, high vaulted ceilings, large picture windows with lots of natural light and beautiful views, a stone fireplace, an expansive finished basement and a large wrap-around deck overlooking woods all around. The finished basement offers a rec room, a second full kitchen, 3 bedrooms and a full bathroom. A large separate 3 car garage allows for plenty of additional storage. This home would make a great escape for the entire family and is just a easy 25-minute drive from downtown Chattanooga!